Building a smart home from scratch might sound like a daunting and expensive process to undertake, but since smart speakers from Amazon and Google came onto the scene, it doesn't have to be that way. Sure, you can still go out and buy a dedicated smart home hub from Samsung SmartThings, Wink, Insteon or Logitech, then buy whole room-fulls of smart lights, a connected irrigation system, motorized windows and much, much more. But even on a budget of just $100, you can make your home much smarter. This mostly involves buying connected accessories which attach to your existing kit - your speakers, TV and air conditioner, for example - and make them smarter. 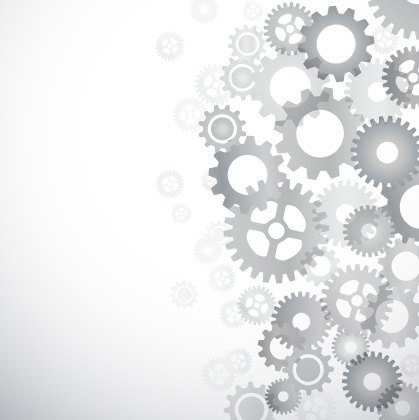 Here is the GearBrain guide to starting your $100 smart home. First up, you are going to need a smart speaker to act as the central control system for all of your smart devices. More expensive hubs use smart home-specific wireless technology like Z-Wave and Zigbee, but at this stage you don't need to worry too much about that. Instead, you'll just be using the Amazon Alexa or Google Home smartphone app to make the smart speaker communicate via Wi-Fi with the connected devices we'll mentioned later in this article. In the sub-$100 range there are two choices of smart speaker; the Amazon Echo Dot and the Google Home Mini. Each costs $50, although Amazon also sells refurbished Echo Dots for $40. Whichever you choose, you will have a small speaker with a virtual assistant for answering questions and helping out with setting timers, reading the news and weather forecast, and playing music. Beyond that, of course, these are the gateway to your smart home. This assistant will be used to switch on the lights, adjust the heating or air conditioning, and much more besides. I have both an Echo Dot and a Home Mini for testing purposes and find their smart home abilities are very similar. They connect to broadly the same devices and offer the same functionality at this basic sub-$100 level. The Home Mini's speaker is better and good for listening to the radio at a low to medium volume, while the Echo Dot's is only really suitable for hearing Alexa speak. I also find the Home Mini is less likely to respond to false-negatives - that is, it doesn't mistakenly hear a command and attempt to reply as often as the Echo Dot does. However, a refurbished Echo Dot is $10 cheaper than the Home Mini and it has a 3.5mm auxiliary port, so can be plugged into your existing speaker or sound system - or you can connect it via Bluetooth if you prefer. The Echo's lower cost and increased flexibility from the auxiliary port gets our vote for this article. Best smart speaker: Should you go for Alexa, Siri or Google Assistant? Once you have picked a smart speaker, you can start buying devices for it to control. 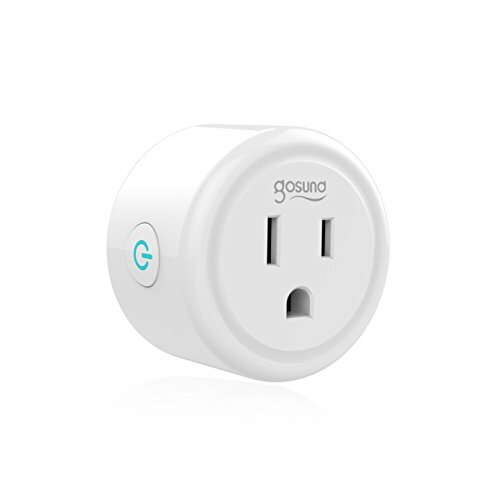 The smart plug is a good first step, as it can give you voice control of just about anything. For example, I have a regular lamp attached to a smart plug and positioned behind my television. Through the Alexa app, this plug is programmed to switch on for a few hours each evening. 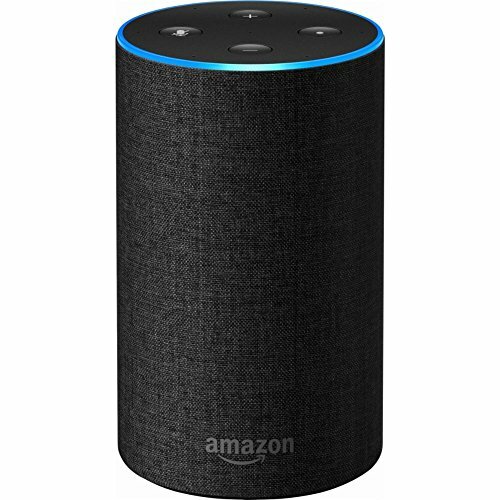 It is also connected to both the Echo and Home Mini, so I can asked either Alexa or Google Assistant to switch it on or off. Alternatively, you can fit a fan, heater or air conditioner to a smart plug and get the same level of control. The only requirement is that the device starts working as you want it to when it is switched on at the wall outlet. The smart plug has no actual control over the device, other than cutting and restoring its power. Next is the smart home classic - lights controlled with your voice. The obvious choice for many will be Philips Hue, but on a $100 budget this isn't really an option. This is because, unlike systems from LIFX and Wiz, Hue lights require a hub which connects to your router - and costs extra money. On such a tight budget, you are best off looking at the LIFX Mini range, which starts at $25 for a single white bulb, then increases to $30 for a 'Day & Dusk' bulb which can be made a different temperature from cold white to warm orange. Finally, the LIFX Mini Color, which can be made any color and temperature you like, costs $45. 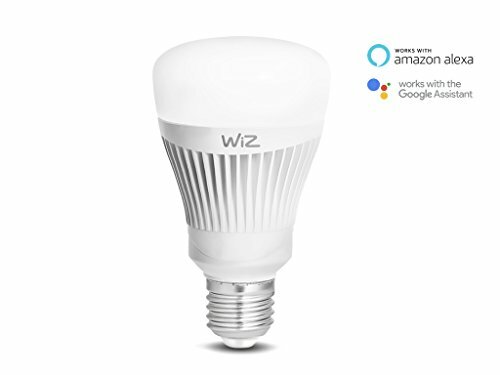 White lights from fellow hub-less smart light company Wiz start at around $30. These mini bulbs aren't going to change the color or temperature of an entire room on their own, but can create some nice mood lighting when fitted to a lamp. Of course, when your budget expands you can add more and more bulbs to the home, filling every socket of every room if you so wish. 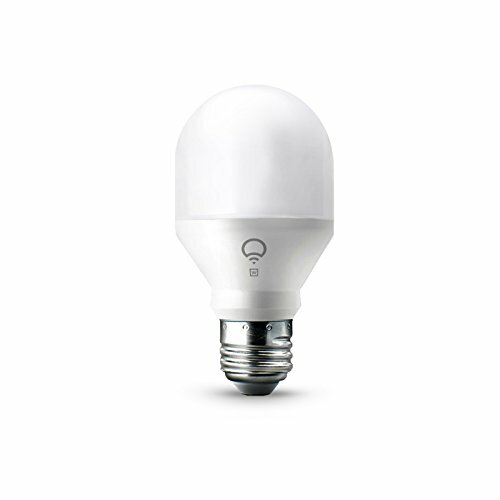 WiZ Whites WiFi connected smart LED A-type E26 bulb. Dimmable, 64,000 shades of white. Compatible with Alexa and Google Home. With just $22 left from our $100 budget, this is unfortunately the end of the road. But, by spending just $78 you can have a smart speaker, a smart light, and a smart plug for controlling almost anything. However, you could also add in an extra smart plug to make another device 'smart', or buy a $20 three-pack and have $15 left over to spend on your Spotify or Amazon Prime subscription, bringing near-unlimited music to your Echo Dot. Speaking of music, there is another device we'd like to mention: the Google Chromecast Audio. This $35 dongle connects to your regular speaker or sound system via the 3.5mm auxiliary port and gives it a Wi-Fi connection. This means you can control the speaker from the Google Home app on your smartphone, or with voice commands if you bought a Home Mini smart speaker instead of the Echo Dot. That way, you could spend $50 on the Home Mini, $35 on the Chromecast Audio, then have $15 to pick up a smart plug. 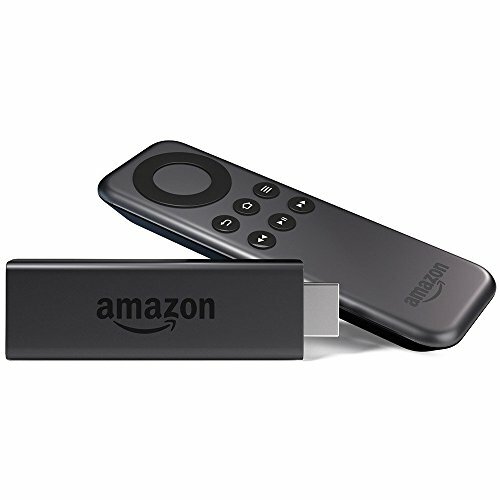 Similarly, the Fire Stick TV should get an honorable mention for costing just $30 refurbished and letting you control Netflix, Amazon Prime Video, and other streaming service on your TV by speaking to Alexa. 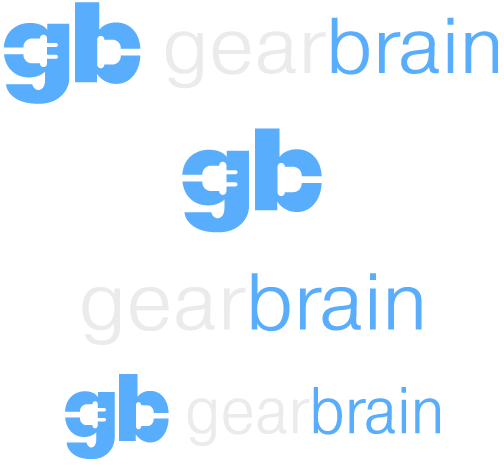 Check out The GearBrain, our smart home compatibility checker to see the other compatible products that work with Google Home and Home Mini and Amazon Alexa.